Redbet Casino’s mission is to create a fun, engaging and honest place to play, with players’ happiness at the forefront of their vision. Winning the 2012 award for Best New Casino of the Year and Casino Manager of the Year in the Casinomeister online awards cemented their place in the online casino industry. It is now considered to be one of the best casinos on the internet. Founded in 2002, Redbet started operating online in 2004. Originally targeting the Scandinavian market, it has since found popularity in the UK. 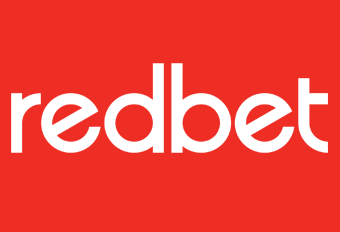 Redbet was purchased by an international media company Bonnier AB in 2013, and is now run through Bonnier’s Malta operations, and holds a licence in Malta as well as in the UK and Gibraltar. A popular way of categorising games for online casinos is to divide them into sections by software provider. Redbet have done this, and have split it into 3 sections with Casino Red provided by NetEnt, 3D Slots produced by Netsoft and Casino Blue featuring games from Microgaming. Boasting a large selection of slots, including fan favourites Gonzo’s Quest, Thunderstruck II and Starburst, Redbet has one of the largest collections on the market. Blackjack fanatics have their fill as well with multiple versions of the game, as do Roulette players. Video Poker is also a firm favourite in the casino with multiple varieties on offer, including 2 versions from Microgaming and 5 NetEnt productions. As already mentioned, Redbet provides the majority of its games using industry leading software providers NetEnt, Microgaming and Betsoft, ensuring that high standards are maintained for players. On top of this, games are also provided by Evolution and NYX reinforcing Redbet’s variety on offer. An HTML5 mobile casino which requires no download is also offered, compatible on both IOS and Android devices, although the mobile casino doesn’t have the vast quantity of games available that the website does. Newcomers to Redbet can take advantage of a three-stage welcome bonus that can total up to £1,000. Using the relevant deposit codes, players receive deposit bonuses, in addition to free spins on games, such as Twinspin, Starburst and Gonzo’s Quest. A loyalty program is also available, ensuring players continue playing in the casino with up to 40% cashback available. Redbet provides enough banking options to ensure that players are satisfied. Visa, Maestro, Skrill and NETELLER are all on offer. Redbet provides no withdrawal limits, however it does place a £20 minimum amount on both deposits and withdrawals. The website is protected with the latest SSL encryption technology, as well as being regularly audited by SKL to ensure fair play. A support section is provided at the bottom of the homepage. There are five sub-headings, each suiting a particular issue that users might face. As is the norm for online casino, a live chat option is available, and phone lines are open between 9am and 1am every day. An email address is also available, with no automated responses given.